Mountain Bike Trips: Moab, Utah - AMAZING Biking Tours! The Colorado Plateau… birth place to whitewater rafting has now become the mecca for mountain bike trips around the globe. 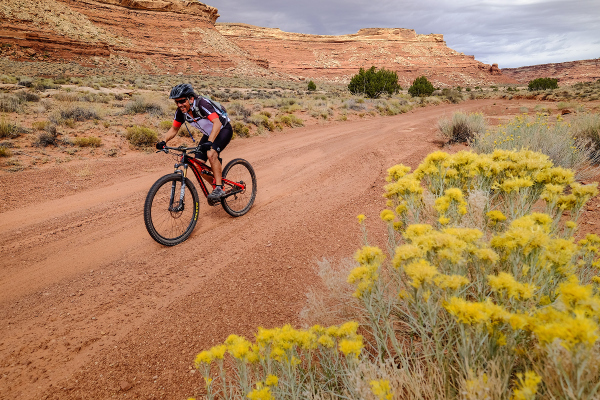 Utah mountain bike tours offer abundant dirt roads and trail systems take you from canyon rim to river bottom, from mountain passes to creek crossings, marked by some of the most iconic viewscapes of the West. The perfect vacation for the “life is short, play hard” human, who is not interested in merely spectating. 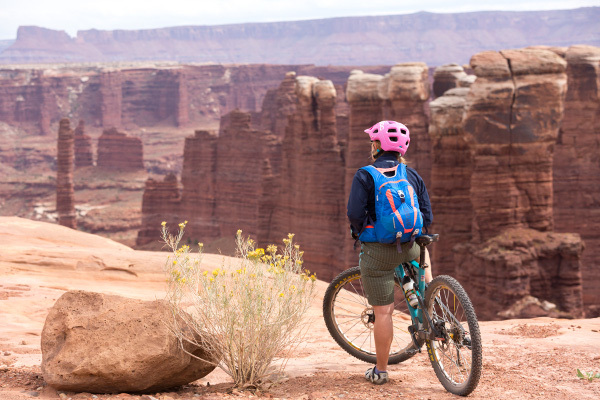 Canyonlands bike tours on the White Rim Trail and into The Maze are the classic Utah multi-day mountain bike trips. 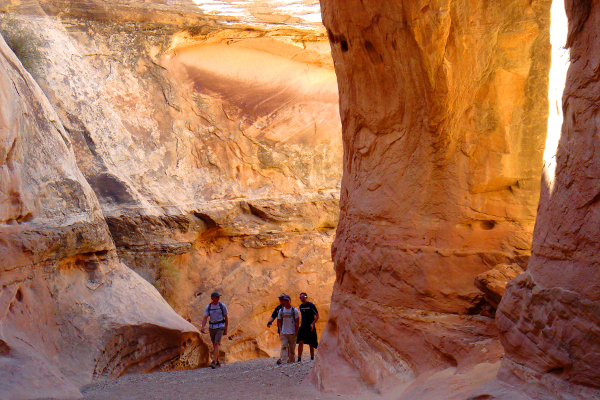 We also bring folks into the San Rafael Swell for a lesser known but off the charts mountain biking vacations! 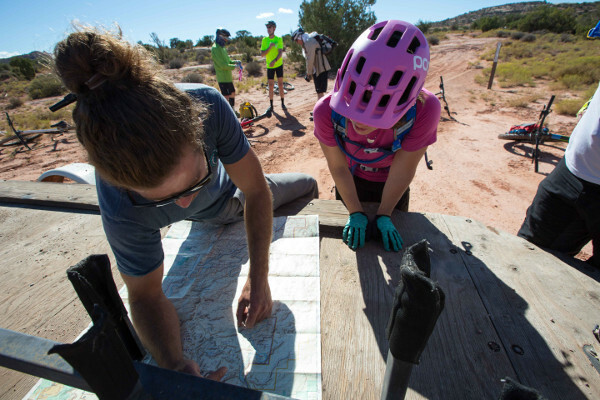 Outfitting for these Moab mountain biking tours includes expert guides, meals, and vehicle support for your gear and food (bicycle rental available). The full suspension mountain bikes in our fleet are Specialized. Our collection of Moab, UT mountain bike tours are a net downhill and suitable for the athletic-beginner to the experienced rider. 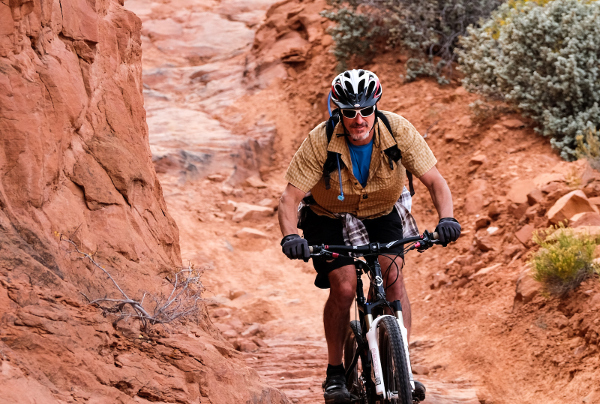 Trust your mountain biking vacations to the outfitters who have been who have been taking riders on Moab mountain biking trips for more than 50 years! 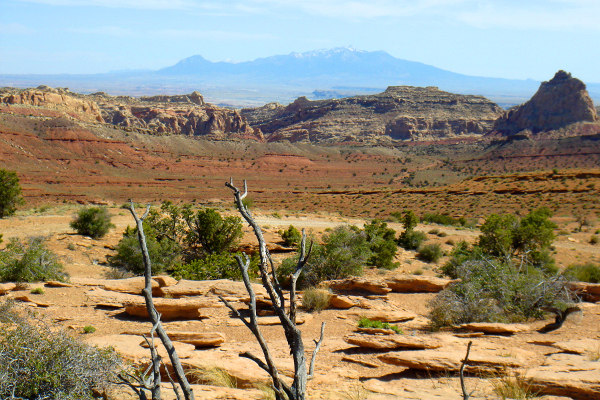 A must in any mountain biker’s rites of passage is biking the White Rim Trail. Riding on a sandstone bench through a land called “Island in the Sky” you will pass Mussleman Arch, Monument Basin, Turks head, Candlestick Tower, and White Crack, a perch 1000 feet above the confluence of the Green and Colorado rivers in the center of Canyonlands National Park … some believe the center of the universe. 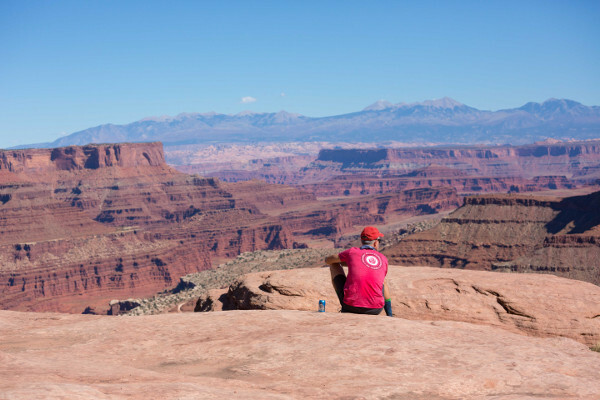 If you only had time for one mountain bike trip in your life, this Canyonlands bike tour should be the one. Mountain bike trips in the Maze are no Sunday afternoon ride through the park! 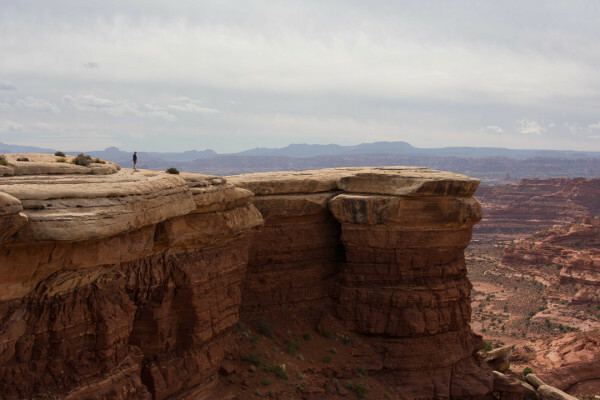 The Maze bike tour and other untamed country in Canyonlands National Park provides mountain bikers and hikers the complete experience… solitude, unparalleled beauty, clean air, and some of the most challenging mountain biking trips anywhere. Sheer vertical uplifts, and plunging gorges are part of a landscape that once seen, can never be forgotten. Join us and bike into the Maze for a mountain biking trip of a lifetime! Zion, Bryce, Canyonlands, Arches, Natural Bridges, Dinosaur, Capitol Reef, Grand Staircase… in a state brimming with national parks, it’s easy to overlook another national treasure. Utah locals call it ‘THE SWELL’ a three thousand-foot fold of sandstone and shale on the edge of the Colorado Plateau. This geologic wonder makes for incredible mountain biking trips that are under the radar and uncrowded. Its hidden canyons provided sanctuary to old west outlaw Butch Cassidy. Today the same red-wall canyons are your sanctuary from the everyday grind. The San Rafael Swell mountain biking trip takes you past Temple Mountain and gives access to slot canyon hiking and petroglyph viewing.